Male Rottweiler names are normally selected based on two grounds. Either the owner wants to name the dog based on their size and their temperament, or they want to keep the dog’s German heritage, so they will give him a title of German origin. 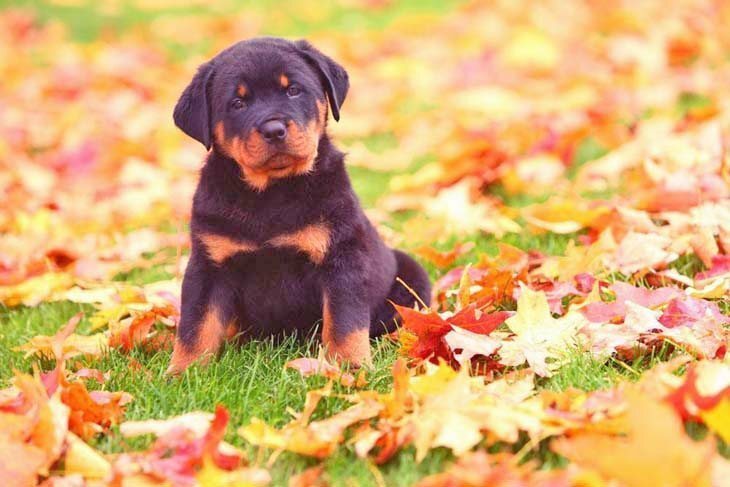 Below are a few popular names that are suitable for your Rottweiler. If you don't find one that you love, you can still use them as a creative boost to find something excellent to call your male Rottweiler. 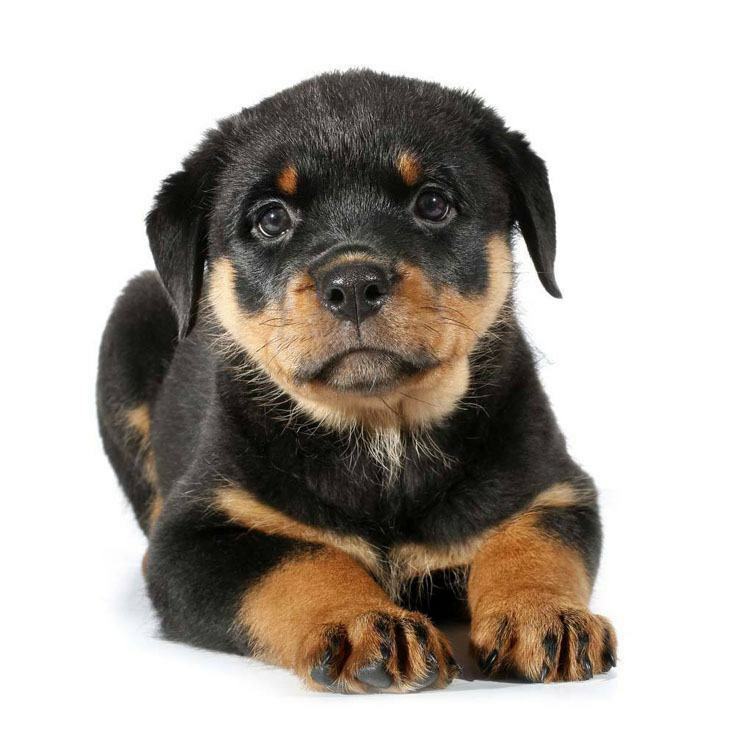 Your Rottweiler will enjoy activities such as swimming, jogging or running beside a bicycle. As a large, powerful male he will average 24 to 27 inches in height and around 95 to130 pounds. He will have lots of energy, and need a well balanced and nutritious diet. He should be fed twice daily once he is an adult and dry food is best for him. He will also want lots of clean, fresh water. Camelot: Name your Rottweiler Camelot after the legendary site where King Arthur had his court and a symbol of the Arthurian world. Beauty, peacefulness, and enlightenment are some of the description of this enchanting place. Corbin: This male Rottweiler name means Raven and will fit any solid-black male. This is a powerful and peaceful choice for the dog that helps to keep the house calm. Drifter: A suitable choice for a pooch that has a tendency to roam. He will like to follow the rules but will have a hard time staying in one place. You'll never forget about this dog once you guys have met. Fortune: A good pick for a male Rottweiler that is worth the world to you. This boy will come to you in an unexpected manner or by a matter of chance. He will only bring you happiness and good luck. Galahad: Pure, noble and selfless are only some of the traits of this dog. In the legend of King Arthur, he was the only one who succeeded in the quest for the Holy Grail. Global: The perfect male Rottweiler name for the dog that likes to get around. This boy will love to travel and explore. He has been around the world and back; o.k. maybe in his dreams. Glory: Of course he is worth the praise! Each night he stands guard to protect you, your family and your property. This Rottweiler is energetic and loves to romp and run; you'll have lots of fun together. Hover: This top dog will love to be under your feet. However, when he is on duty all lesser animals will let this large masculine male be; it’s hard to stay close to him. Humphrey: Do you have a really tough guy? Well call him Humphrey or Humph. This boy Rottweiler is highly intelligent and will love the sound of this big male name. Murphy: This male is carefree, loyal, kind and energetic. He'll have a strong bond with his owners and enjoy a loving life. With this boy, anything that is fun can happen and will happen. 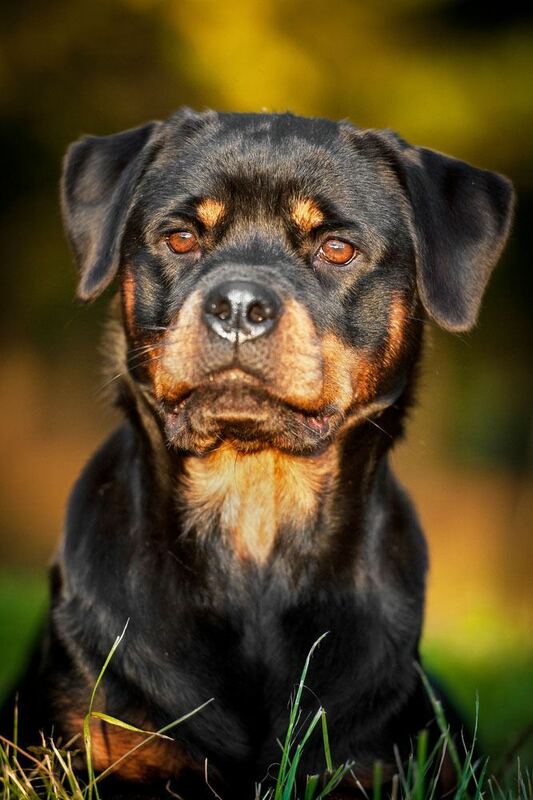 Riley: Riley is a wonderful Rottweiler with a loving personality. He will have a tendency to be carefree and creative. He will be ok on his own and is attentive and very loyal to his owners. He is a fearless dog. Samson: A strong male Rottweiler name that fits a dog with a strong body and huge personality. He is often attentive and may show the outside world how good of a protector he is. Only one word of caution, keep him away from Delilah. Shadow: A wonderful male choice for a black Rottweiler. He is wary of strangers and is always on the lookout for them. Even if you don't see him, he'll see you, that's why he is such a good guardian.